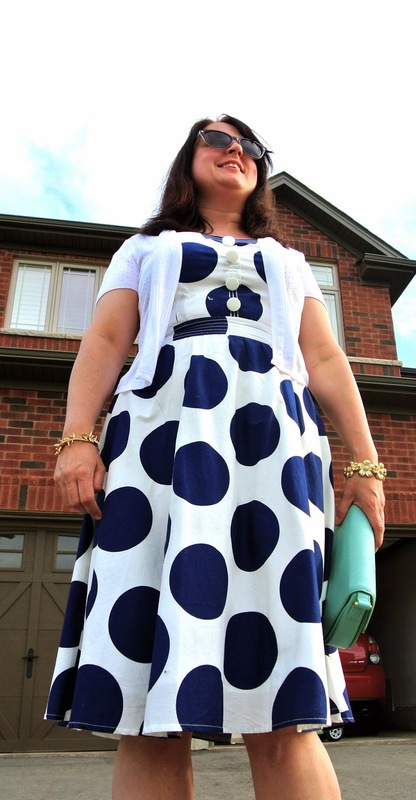 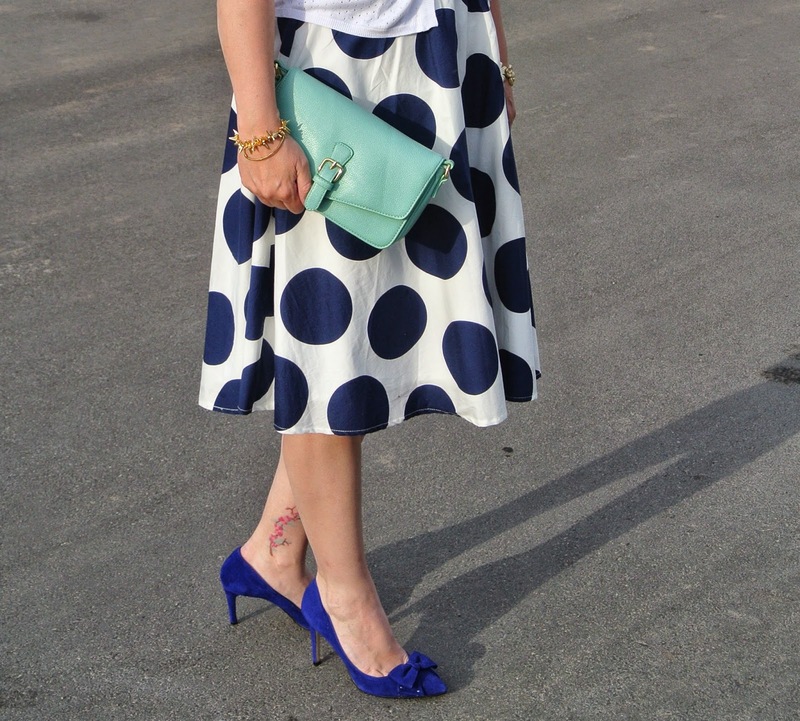 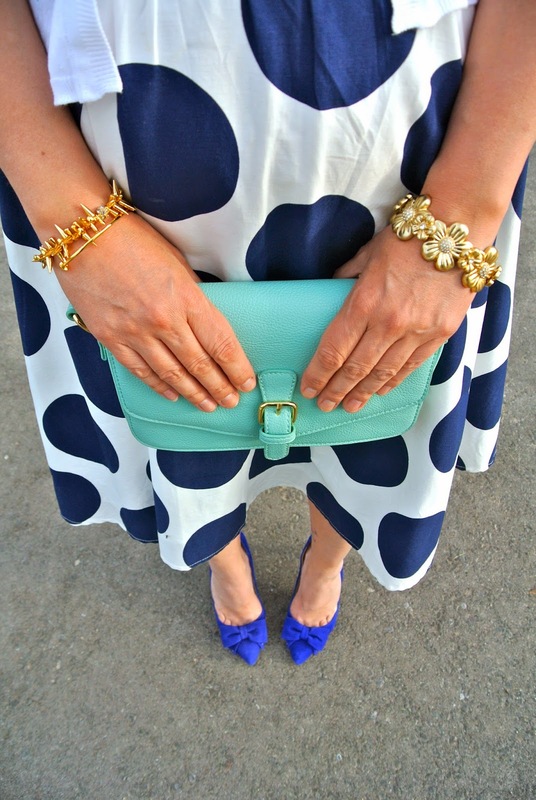 This polka dot dress has been in my closet for year and I tend to bring it out in early June. 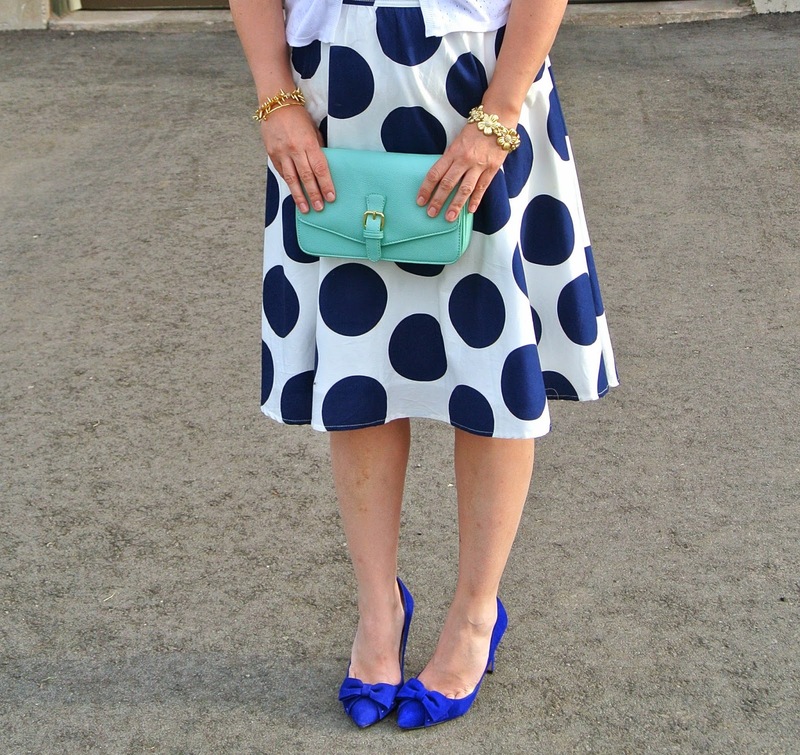 It is strapless so I like to wear a little short sweater with it so I feel a bit more covered. 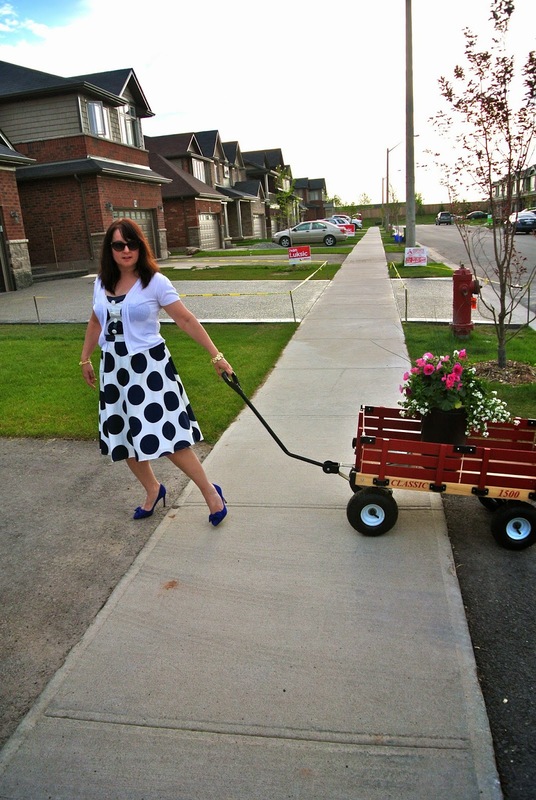 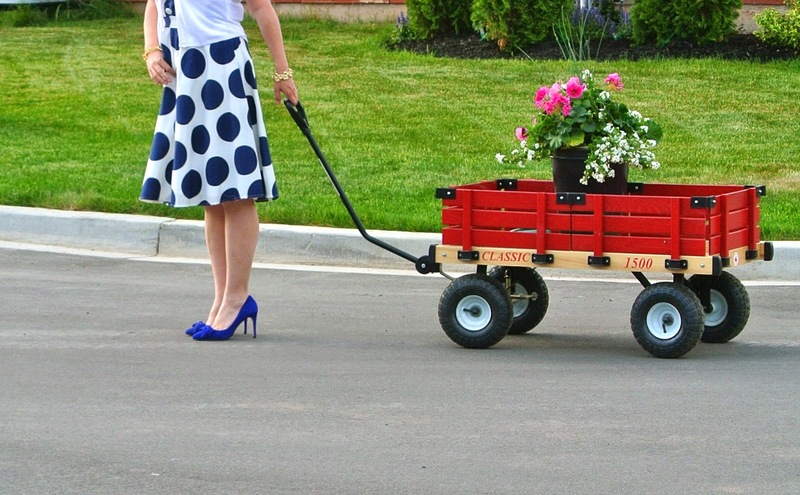 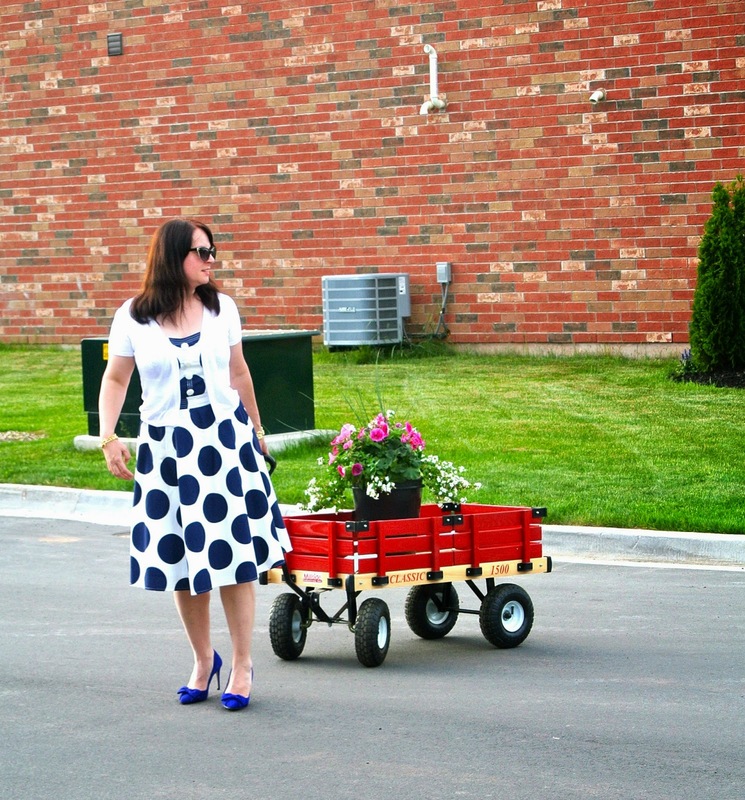 It was fun to use my son's wagon as a prop for this shoot.